In "How Humans and Apes Are Different and Why It Matters," published in the Journal of Anthropological Research, Agustin Fuentes explores the common ancestry between humans and apes by examining characteristics that the two share. 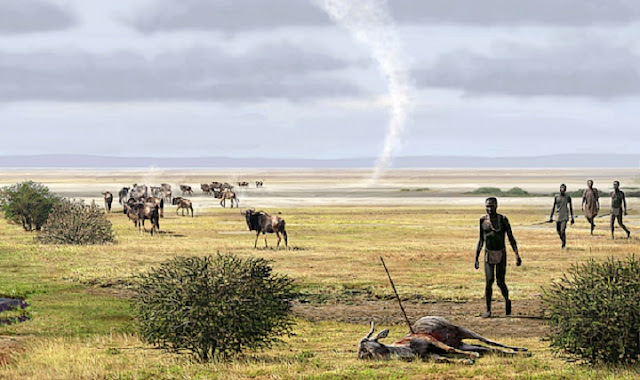 Conversely, Fuentes draws upon anthropological evidence to examine the ways in which the hominin lineage underwent changes during the Pleistocene that led to the emergence of a distinct human niche. Fuentes concludes that these divergent traits--along with the distinctive space humans inhabit--give humans the ability to drastically change the environment, other animals, and themselves. Initially featured as the XLIV Journal of Anthropological Research Distinguished Lecture, the article explains why these evolutionary differences are still relevant today. Throughout the article, Fuentes asserts that humans are distinctive, not unique. Humans are classified as mammals and as primates. Both humans and apes belong to a group of primates known as the Hominoidea. 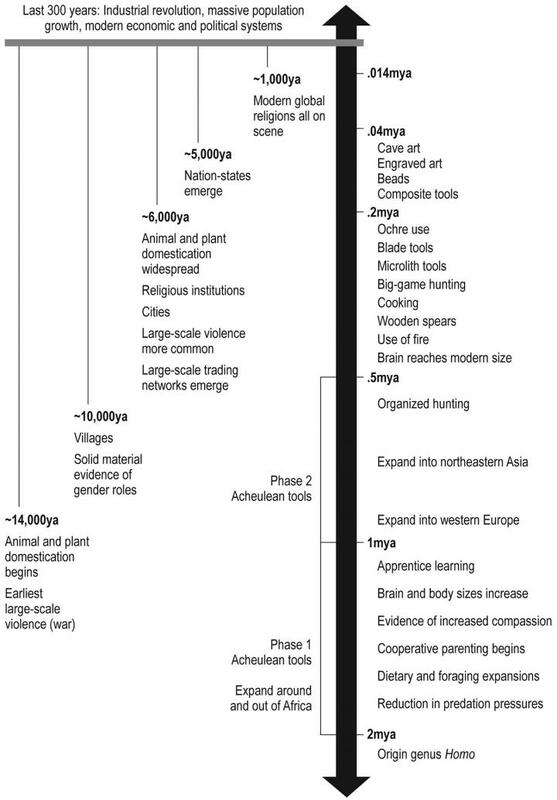 As hominoids, humans and apes exhibit a range of similarities, including complex social relationships, large brains, and the capability to utilize tools. Evidence indicates that in the past 2 million years, individuals belonging to the genus Homo experienced significant evolutionary developments. The increasingly complex patterns that resulted served as the foundation of the human niche. A niche consists of the ecosystem an organism inhabits and all of the organism's interactions within that space. Processes occurring within this niche, including the use of fire and new modes of teaching and learning, offered humans greater control over the surrounding environment. Fuentes, in fact, proposes that the most distinctive feature of humanity is its ability to significantly alter ecosystems. Fuentes applies anthropological theory to emphasize the highly significant role humans play in determining the collective future of life on the planet. "The human baseline of creative cooperation, the ability to think, communicate, and collaborate with increasing prowess, transformed us into beings who invented the technologies that support domestication, economies, large-scale societies, warfare, and broad-scale peace. This collaborative and imaginative capacity for creativity also drove the development of religious beliefs and ethical systems, and even the production of artwork. Such capacities fueled and facilitated our ability to compete in more deadly ways. Today humans deploy many of the same capacities that enabled our success as a species to kill/control other humans and manipulate the planet to the brink of ecological devastation," Fuentes writes. While elaborating on our role in the global ecosystem, Fuentes suggests humans should engage with our differences and assume responsibility for ensuring sustainability. "Today we are reshaping the entire world, the globe, the way in which our earth exists. We are also, at more than 7 billion strong, changing the very social landscape of the human experience. We know that inequality and insecurities have broad-scale individual life-history impacts, changing the way in which people experience the world, and changing the ways in which our children grow, or don't. We created a new niche, and now we have to live with and in it, and so does pretty much everything else on the planet." This are still the traditional anthropocentrims, instead of comparative biology. "Why it matters" is important IMO for human future, but the paper does not help us to understnd why humans & apes are different. Google e.g. "Ape and Human Evolution 4.4.18 Biology vs Anthropocentrism".